DEADLINE FOR CONTRIBUTED PAPER PROPOSALS EXTENDED TO JANUARY 21, 2019! Contributed presentations in lecture format are invited. Find the category that best suits your proposal! 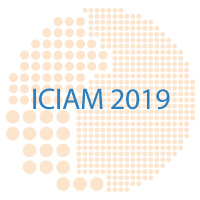 For further information, please visit the Submissions & Calls section within the 'For Participants' menu tab at www.iciam2019.com. A block distribution for all the scientific activities in ICIAM 2019 has already been published in the Program section within the 'Scientific Program' menu tab. Register prior to March 4, 2019 and take advantage of the Early Bird rate! For further details, please, visit the Registration section within the 'For Participants' menu tab. Travel information: Discounted travel with Lufthansa Group Partner Airlines (Austrian, Lufthansa, Swiss, Brussels Airlines, Eurowings) and IBERIA Airlines (Iberia Express, Iberia and Air Nostrum) for ICIAM 2019 delegates. Forthcoming travel discounts with railway company RENFE! Accommodation: Check out the list of accommodations (hotels and residences) with special rates negotiated for ICIAM 2019 delegates. We recommend booking your hotel as soon as possible, otherwise availability cannot be guaranteed. Please, read carefully the hotel scam alert before proceeding with your booking. Companies or individuals claiming to be affiliated with the ICIAM 2019 Congress may have contacted our invited speakers and delegates. Please be aware that this is a scam sent from a company named Business Travel Management (BTM). For further details, please, visit the Travel Information and Accommodation sections within the 'For Participants' menu tab, and the Scam Alert section within the 'ICIAM 2019 News' menu tab. Posters. Deadline for submissions: April 1, 2019. 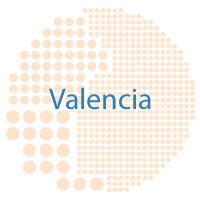 Financial Support to attend ICIAM2019-Valencia. Deadline for applications: February 25, 2019. For further information, please visit the Submissions & Calls and Financial Support sections within the 'For Participants' menu tab. Víctor M. Pérez-García of the Mathematical Oncology Laboratory (MôLAB), University of Castilla-La Mancha (Ciudad Real, Spain) has been invited to deliver a public lecture at ICIAM 2019. Professor Pérez-García is using mathematics to solve problems in oncology and other biomedical topics. He and his research group collaborate with more than 25 hospitals and biomedical research institutes worldwide. Keep checking the ICIAM 2019 website www.iciam2019.com for new information and be sure to check your mailbox!